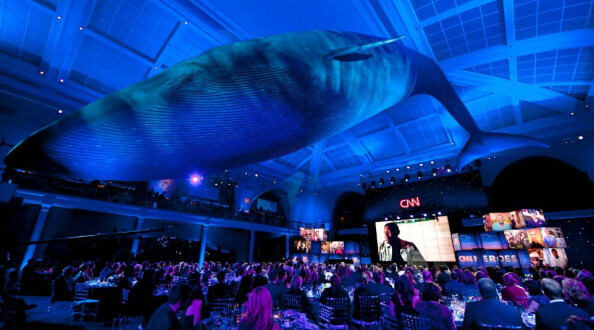 The stage was built in the Irma and Paul Milstein Family Hall of Ocean Life, which is dominated by a Great Blue Whale hanging from the ceiling. 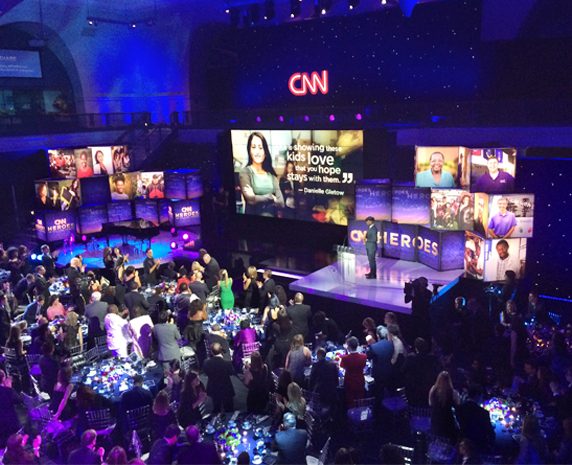 The stage included a performance area, a 6×6 monitor array and many cubes with award winner photos. 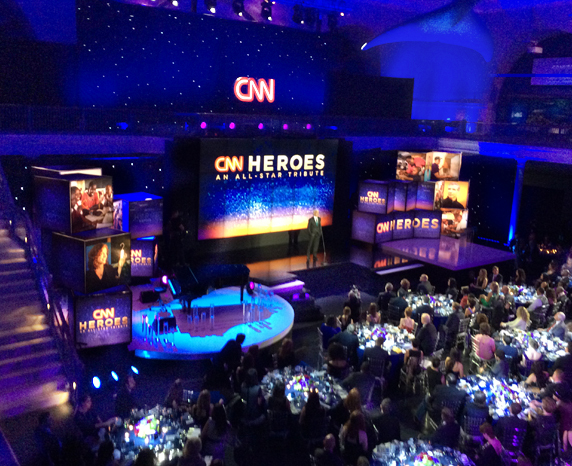 The annual event honors individuals who make “extraordinary contributions to humanitarian aid and make a real difference in their communities,” and has been a CNN tradition for seven years.